Designed by Adelaide couple Arryn Lloyd and Ash McCammon and created with a 3D printing-assisted production method, Mano Objects is a brand building beautiful and considered products in a modern way. Mano Objects began as a gift. Arryn Lloyd designed a ring as a Christmas present for his partner, Ash McCammon, which he’d had manufactured by a 3D printing company in based in New York. 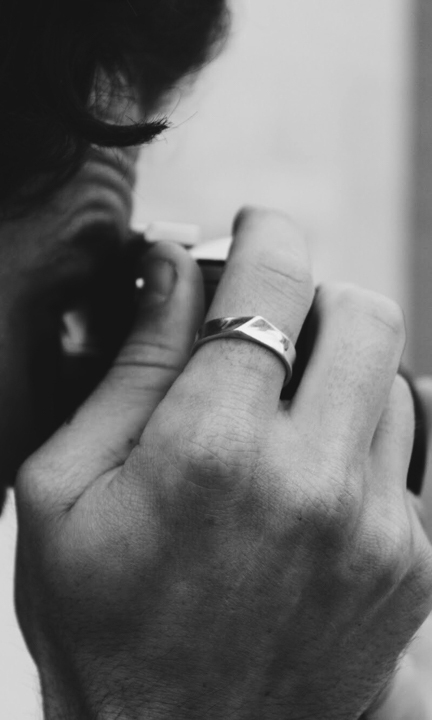 Mano Object’s first release range of rings is available for purchase online. Stay tuned for updates on future releases. They will also appear at Porchland on Saturday, 24 November. “I was like ‘This is really beautiful, I want to be able to share this with other people as well,’” Ash says, smiling. Ash and Arryn both have a history in design; Arryn is an industrial designer who works in product design, and Ash is an interior architect who has also recently finished an architecture degree. 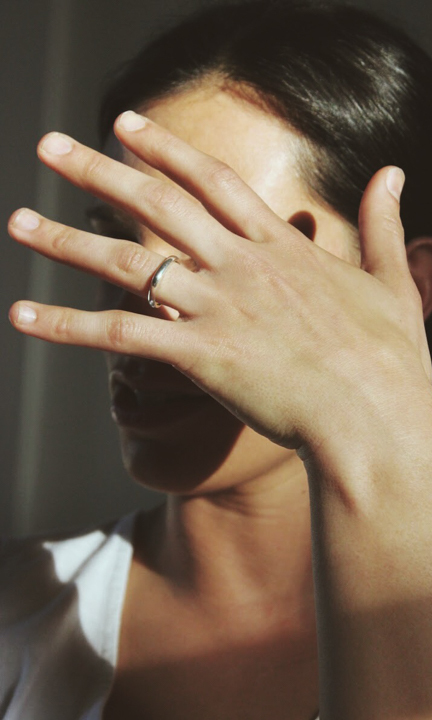 Both were looking for a way to lead a more creatively fulfilling work life, and, spurred on by seeing what Arryn had created, embarked on a process of designing a range of eight rings that form the first release of their business, Mano Objects. “We explored different trends that were happening – lots of mood boarding, lots of Pinterest,” Ash says. “We always started with the circle shape and got inspired by photos that we’d taken of shadows or different things. Ash and Arryn begin the design process with sketches, which they then turn into 3D renders and iterate based on 3D-printed plastic copies. Once they’ve settled on the final look and feel, the 3D file is sent to a company in New York who then 3D print it in wax and cast a mould, which is then used to create the final product. It’s a similar process to a traditional jeweller, who would use a reductive process of carving away layers of wax to create an object, rather than Mano’s additive process of building their objects layer by layer with a 3D printer. Not having to rely on the steady hand of a maker also makes for a more precise product. “Every single one is exactly bang-on and perfect,” Arryn says. Mano Objects will appear at Porchland this weekend, Saturday, 24 November, but the brand is predominantly available online. Through their website and social media presence, both Ash and Arryn hope to also build community around the brand for people, like them, who have an appreciation for high quality products and ethical production methods. “It’s important to be able to show people what they’re buying into,” Ash says. “Especially when you’re buying into something, you’re buying into a culture and a way of describing who you are and what you like and what you enjoy,” Arryn adds. Mano’s first product release is a very short run, so “you’ll feel like you’ve got something that’s unique and pretty nice,” Arryn says. Keep an eye on their website and social media to purchase and stay updated on when future objects will be released.